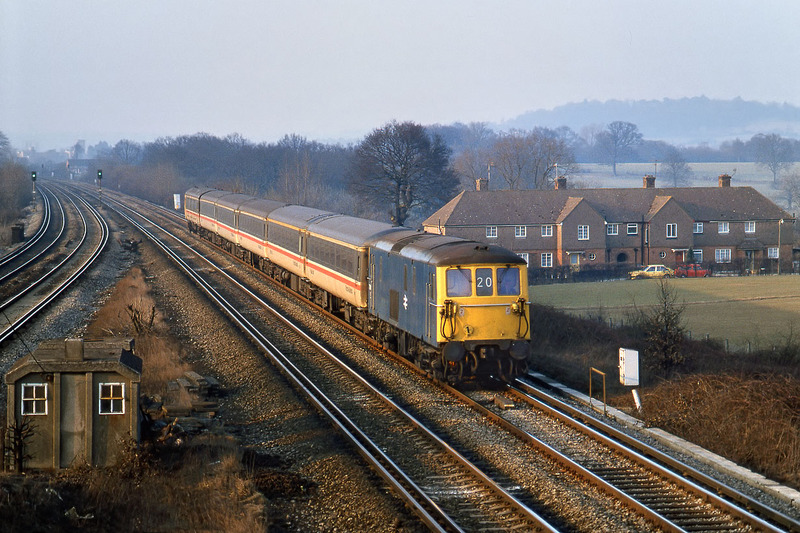 73110 passes Salfords on 15 March 1986 with the 16:15 Victoria to Gatwick Airport service. This is my only picture of a Rail Blue Class 73 on the 'Gatwick Express' service, hardly surprising as in theory the InterCity livery was in use from the start of the service two years previously. Not only that, but it is one of the very few pictures I have got of any Class 73 in that livery from the Rail Blue era, although I should be able to correct that omission now there are a number in preservation.